Advanced Orthopedic and Sports Medicine Specialist (Denver) - Book Appointment Online! 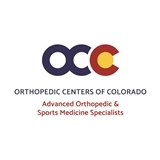 Advanced Orthopedic and Sports Medicine Specialists, a division of Orthopedic Centers of Colorado, is widely recognized as the regional leader in comprehensive orthopedic services. The physicians of Advanced Orthopedic and Sports Medicine Specialists have received specialized training in orthopedic surgery and in subspecialty areas within the field of orthopedic medicine and can diagnose and treat even the most complicated orthopedic conditions. A professional staff of Physician Assistants, Medical Assistants, X-Ray Technicians, and Administrative Personnel supports the Physicians. Advanced Orthopedic and Sports Medicine Specialists specializes in providing comprehensive sports medicine services including the diagnosis and treatment of athletic injuries. Regardless of the level of the athlete - recreational, high school, college, and professionals. DR Resig is the person I will go back to for the following procedures that will need to be done in the future. Two weeks after surgery knee has not felt this good in as long as I remember. Great teams at the office and where the surgery was done. No I am not looking forward to more procedures but working with DR Resig to improve the quality of my life is what its going to take.